The 9th New York claimed that the first shot of the battle was fired by its Corporal Alpheus Hodges, who was in charge of a four man picket post on Chambersburg Pike. 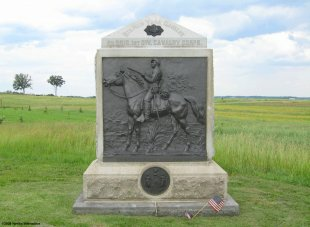 But in a controversy that continues to this day, the claim was challenged by the 8th Illinois Cavalry, who held their Lt. Marcellus Jones had the honor. Jones went so far as to erect his own marker on Chambersburg Pike, one of the earliest monuments on the battlefield. The 9th New York successfully defended its claims before the Gettysburg Battlefield Memorial Association at the unveiling of the monument in 1888, and currently the monuments of both regiments claim the honor. Enlisted Oct. 1, 1861. Re-enlisted Jan.2, 1864.Killed in action, 63, died of wounds 32, others wounded 270. Died while prisoners, 16, others captured, 125, battle losses 506. Killed accidentally, 3; died of disease, 110, aggregate losses, 619. 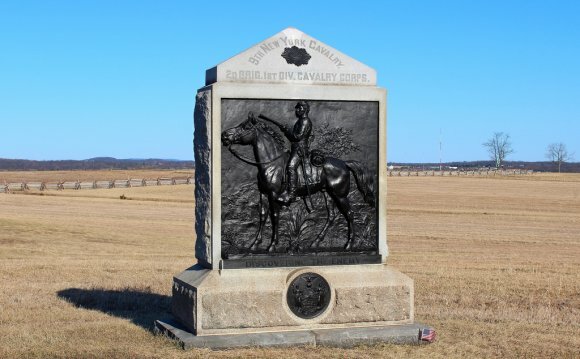 The 9th Regiment New York Volunteer Cavalry was a cavalry regiment that served in the Union Army during the American Civil War. It is also known as the Stoneman Cavalry. The regiment was organized in Westfield, New York and was mustered out of service on July 1865. George Reynolds was a Union Army soldier during the American Civil War. 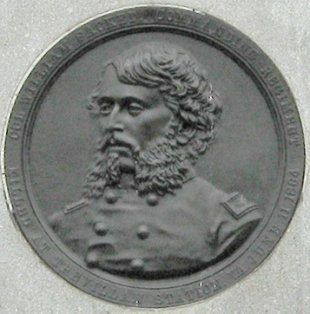 He received the Medal of Honor for gallantry during the Battle of Opequon more commonly called the Third Battle of Winchester, Virginia on September 19, 1864.